We had originally planned to use the gray leather 3rd row seat from our 98 Suburban. So, we 'engineered' the mounts to use that removable seat when we built the floor pans in the truck. As the build went on, Brian decided that he no longer liked the gray seat. It was going to make the color choices more difficult on the interior as we really wanted a mainly cream interior with touches of wood (dark brown). 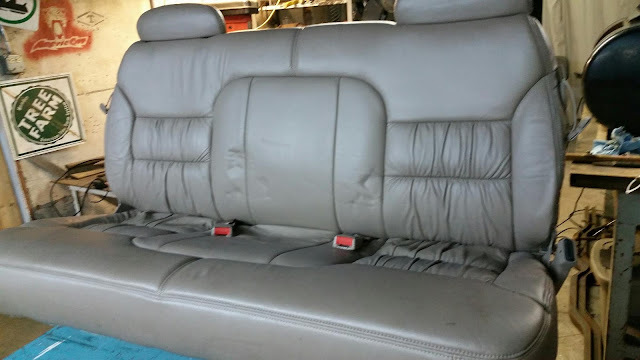 So, I searched for months for a tan leather seat from the same generation Suburban. Well, last week I finally found one, in immaculate condition. This last weekend, we finally got around to adding fluid to the new clutch reservior and bleeding it. And.... we started working on the battery cable wiring. 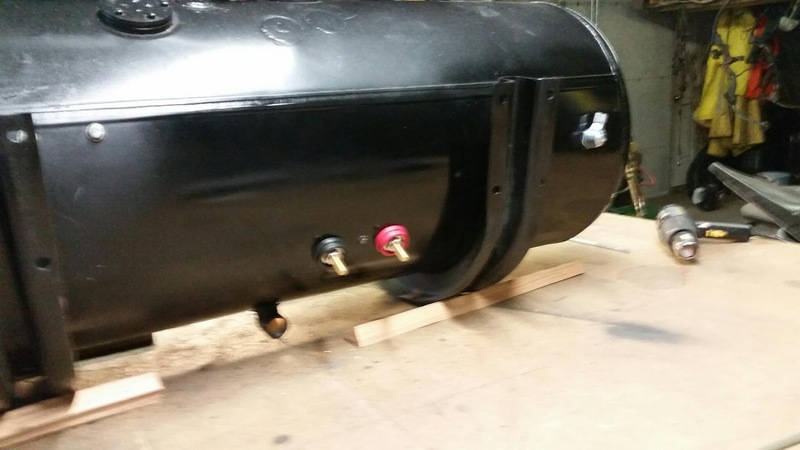 These special fittings allow for a pass through of the fuel-tank-turned-battery-box. They also allow for the battery box to be removed if necessary. 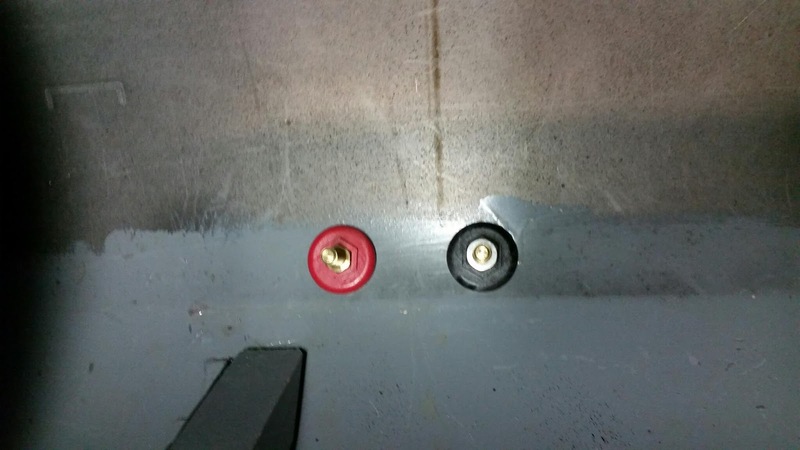 The battery leads bolt onto the inside from the battery (with a power shut off between). Then, from the outside to the starter/frame rail. 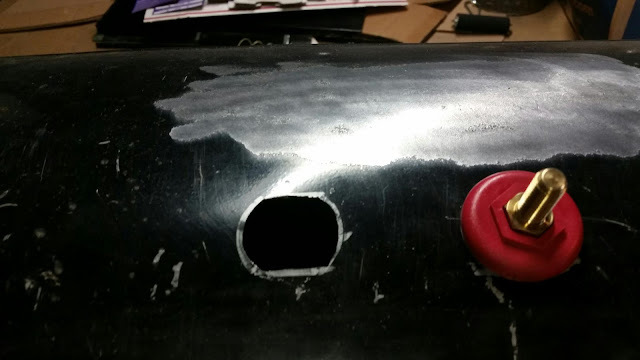 Those doubleD holes were a little challenging w/o the special punch tool. 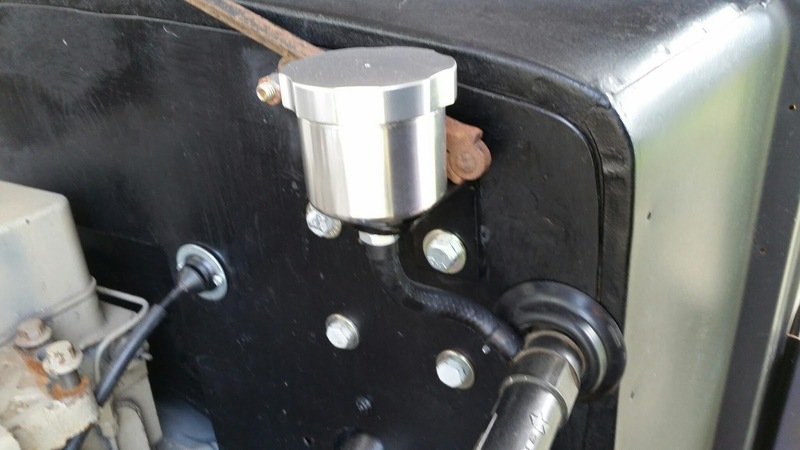 We had planned to have the starter all wired up this last weekend, but the special solder-on ends I purchases ended up not fitting our wire. I thought 1/0 fittings would fit 1/0 wire, but apparently I was wrong? LOL.